Tonight it was a win-win situation. Literally. Two Winston-Salem chefs, cooking to put the WIN back in Winston-Salem. Who prevailed? Read on to find out! This was Reddick's 1st Fire in the Triad appearance. 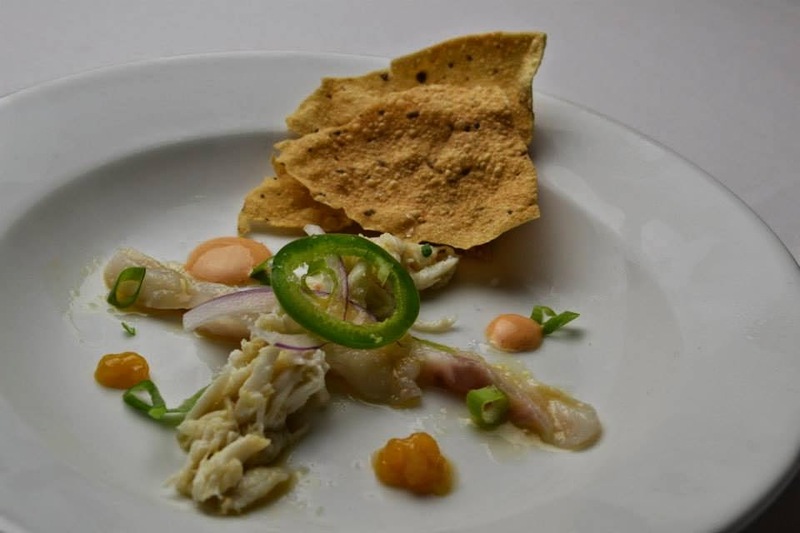 He says, "My competitive advantage is that I have a broad culinary background with a lot of experience in all aspects of the kitchen, a blend of old and new technique and most of all a true passion for food." My Tart & Tangy Triad Podcast co-hosts, Tim and Stephanie eat at Artisan nearly every week. They just can't stay away. This was Smith's 1st Fire in the Triad appearance. It should be noted that I chose to celebrate my 30th birthday at New Town and Donny was responsible for showing me and my friends a good time and executing a great menu. 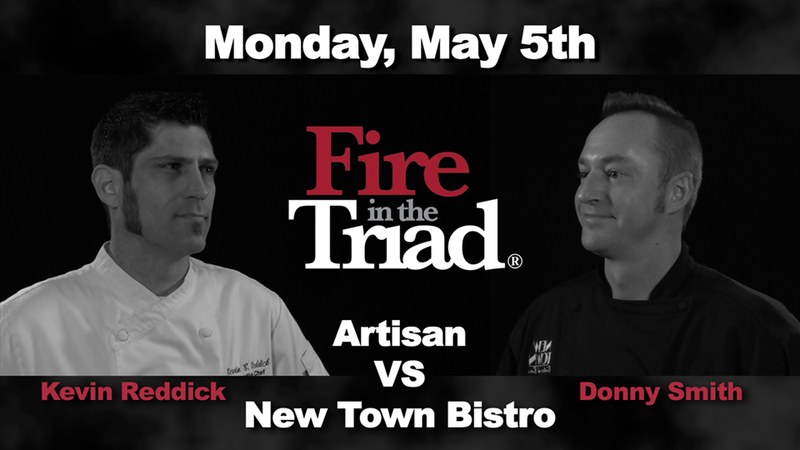 The night's guest judges: Chef Kristina Fuller (my favorite badass chef), former Fire in the Triad cheftestant, of Crafted in Greensboro; Tom Jankovich of Painted Fish Cafe in Banner Elk, NC; 2013 Fire in the Triad winner, Chef John Bobby of Nobles Grille. It was a very lively, captivating night as the dining room was packed with fans, friends and families of both restaurants. There was hooting, hollering, eating, tweeting and a lot of good times happening on the battlefield last night--The Empire Room at Elm Street Center. After everyone registered with their smart phones and tablets on the Got To Be NC Competition Dining Series app, the good times rolled--literally. 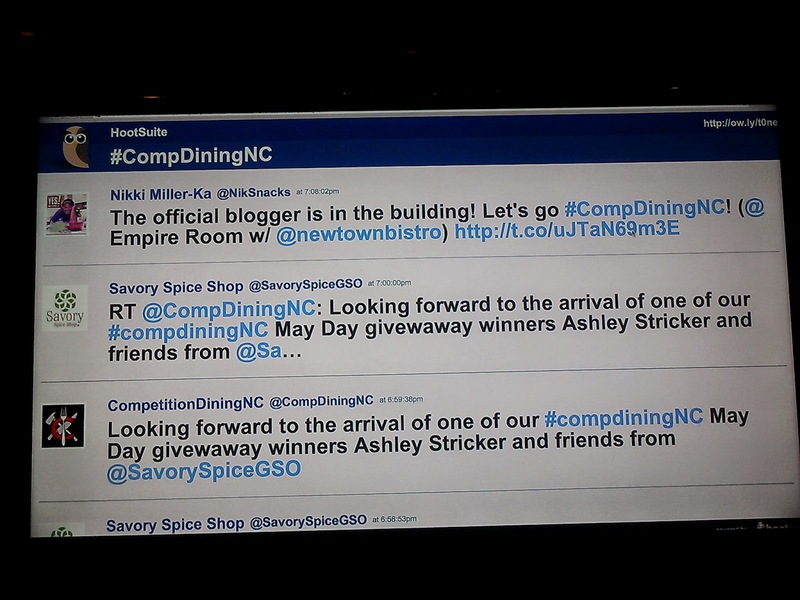 When you tweet, your post is uploaded on the big screen for everyone to see! The secret ingredients: NC Hybrid Striped Bass from Fish Connection and Raylen Vineyards Pinot Grigio! The featured winemaker for the evening, Cellar 4201. Yadkin Valley represented very well last night! This first course was a very sophisticated dish. The plating was very on-trend, very reminiscent of the "landscape technique" where inspiration is taken from garden landscapes and the plate's elements mimics modern art with negative space and free-form design. The actual dish lived up to the plating as well. The problem with eating a dish like this: where do you start? 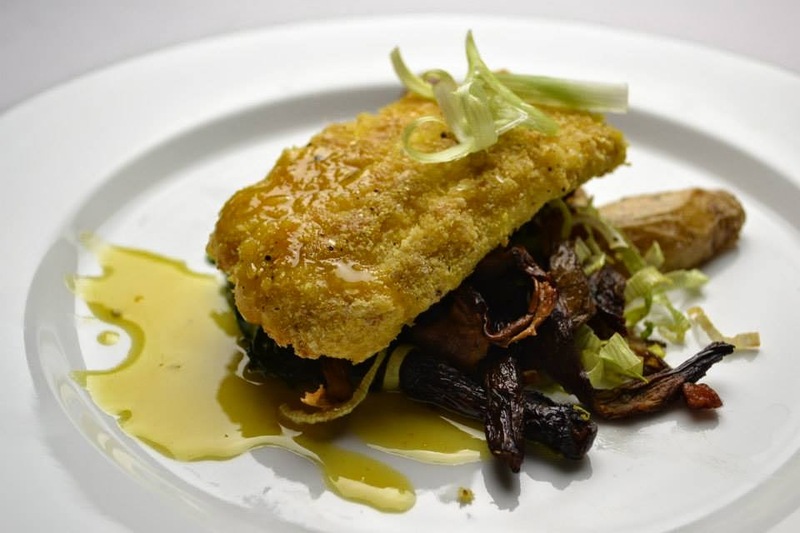 When all of the elements were eaten together, it was a plate of layered, sophisticated flavors. A sharp punch of citrus and tangerine POW! And then the crisp, sharp, yet sweet raw red onion BANG! The fresh jalapeno added a ZING! 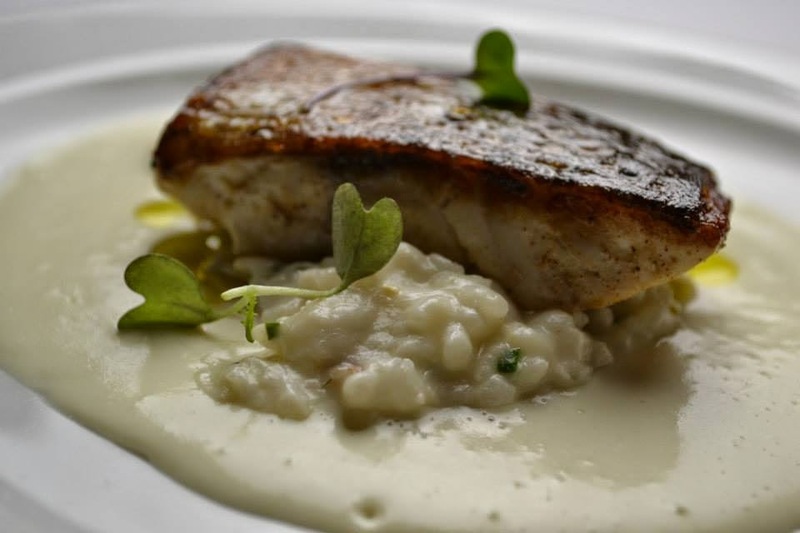 The Pinot Grigio did not stand out, but that's because it became one with this dish and really added to the fresh, delicate striped bass and crab brought the dish down to acceptable tones. The addition of the pappadam made this course easy to eat. And fun to eat. This course was definitely a conversation piece. It was also probably a conversation piece because it took quite a while for this course to come out of the kitchen into the dining room. At ten minutes to 8:00, my table was still waiting for this gem to hit the table. At first, I thought this was a scallop. This croquette was much more than a scallop. The bass, lobster and crab married into this little flavor-packed disk that was just okay. BUT! 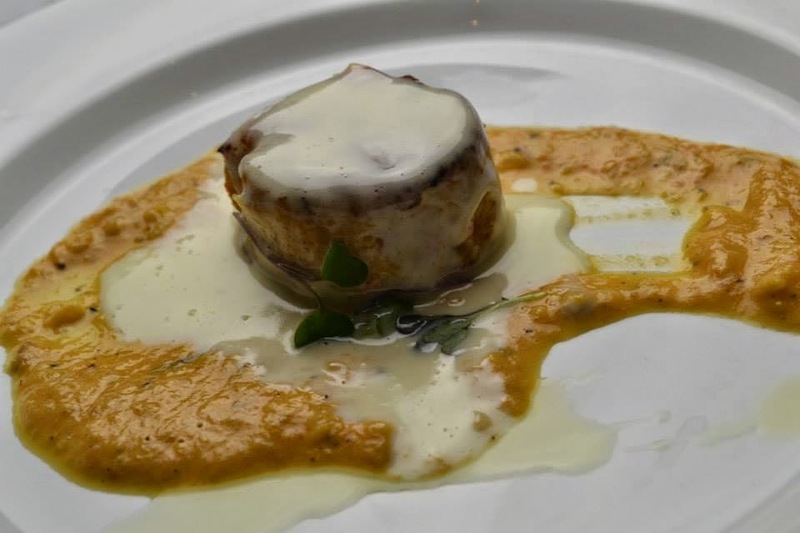 The tomato fennel puree and Pinot Grigio beurre blanc were EVERYTHING: They made this dish soar to the top of the scoring charts, as this was the highest scoring dish of the night. The rich, buttery and tangy beurre blanc mixed with the smoky, slightly tannic yet sweet tomato puree took this dish to heights unknown. There was a small branch of a microgreen on top of the croquette for color, but by the time it got to the table, it was very wilted and looked like a smooshed four-leaf clover. My dish was not crusted with cashews (allergy alert! ), but the cornmeal crust was just enough for me. The fish came to the table piping hot and was one of the best parts. The striped bass itself was perfect: it was flaky, it was hot, a beautiful golden brown and... severely under-seasoned (sadface). That was the consensus of everyone dining at my table (shout-out to table #7). Most of the rest of the plate's elements did not live up to their description either. The fingerlings were perfectly roasted on the outside and creamy on the inside but the lardons and mushrooms were overcooked, shriveled pieces. The wilted kale was the best part of the dish. It was well-seasoned and well-executed. The vinaigrette was almost nonexistent on my plate. I wished I'd had more vinegar to mix with the greens and give a little more flavor to the under-seasoned fish. And I did not receive pickled shallots on my plate. No one at my table did. We did, however, get roasted scallions. And they were burnt. Despite the numerous flaws: this was my favorite course of the night. The dining public did NOT agree with me. This was the lowest scoring dish of the night. This was my least-favorite course of the night. It had so much promise and it was a let-down. The striped bass had a good flavor, thanks to the Pinot Grigio marinade, but the skin was flappy, floppy and soggy. After peeling it away, the fish was a little on the dry side. The risotto and the soubise tasted the same. There was no differentiation between the two other than the gloppy, sticky, overcooked cauliflower and crab risotto. Maybe other diners on the other side of the dining room received perfect risotto and perfect fish, but I did not. And I suspect the judges received the same kind of plate I did. As the scores were revealed, the guest judges' scores were very low, in comparison to past battles this season. My personal favorite, I loved this dessert (minus the pistachio dust). My perfect dessert. Look at those layers and layers of buttery phyllo! 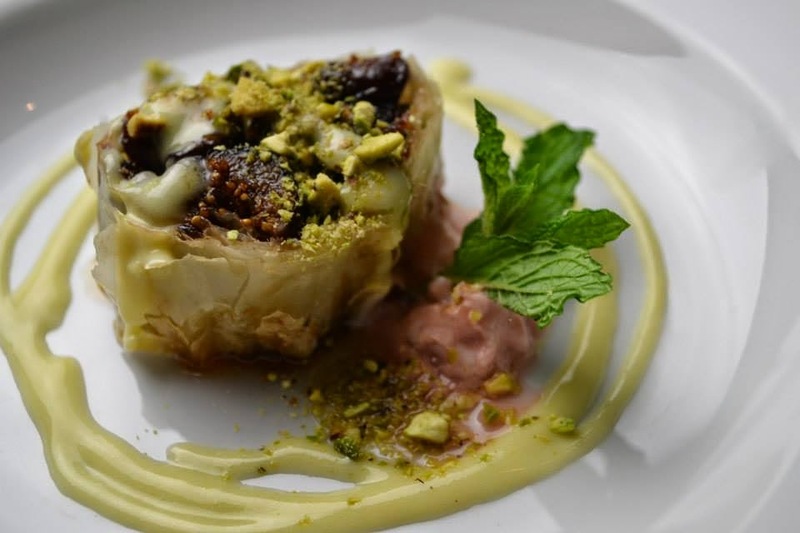 Filled with lots of chunks of cherries and sweet figs, the phyllo was buttery, crispy, crunchy and my favorite part of the dish. Unfortunately, the little swirl of Pinot Grigio creme anglaise was not enough to make a difference in flavor. It may as well have not been on the plate. 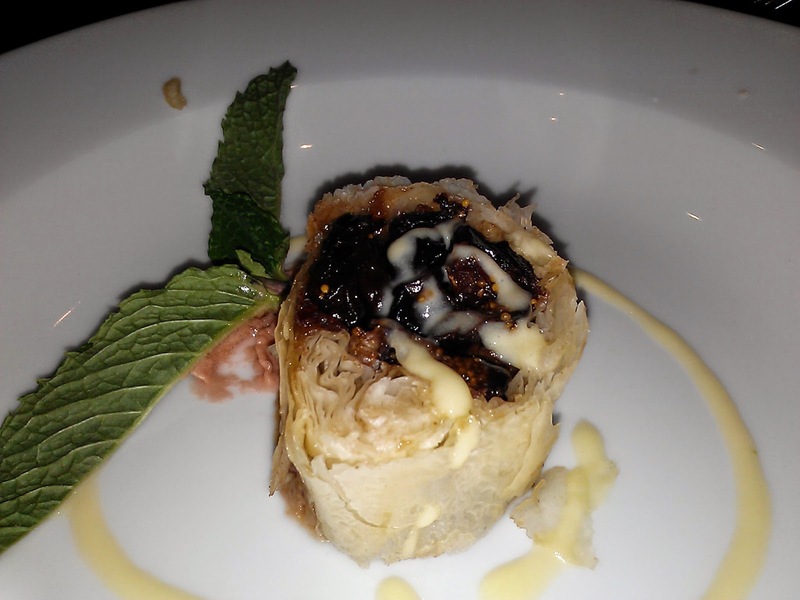 The garnish: a duo of mint leaves, nearly as big as my phyllo roulade remained untouched as did the now-deflated cheerwine foam. The foam turned into a pool sticky Cheerwine goo. Neither dessert scored very high, but this one faired a little better. 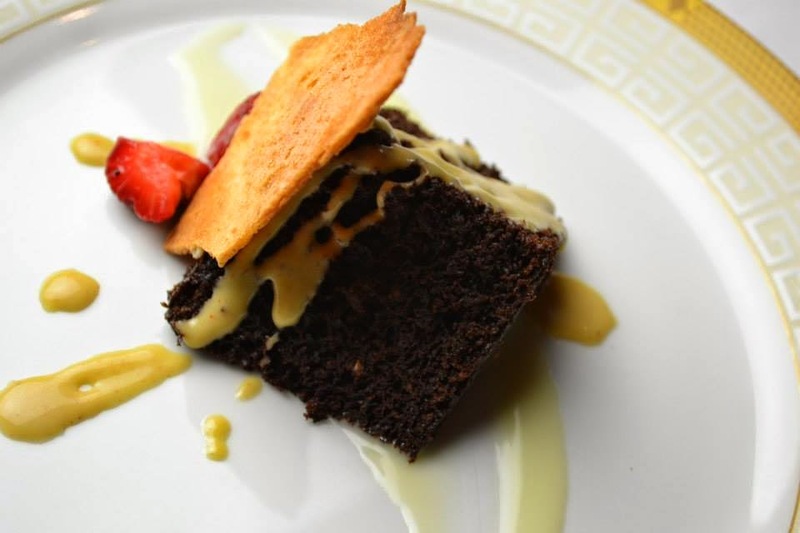 The chocolate cake was a well-executed devil's food cake drizzled with white chocolate ganache and sat on top of a strawberry cider anglaise and garnished with a craggy tuille shard. 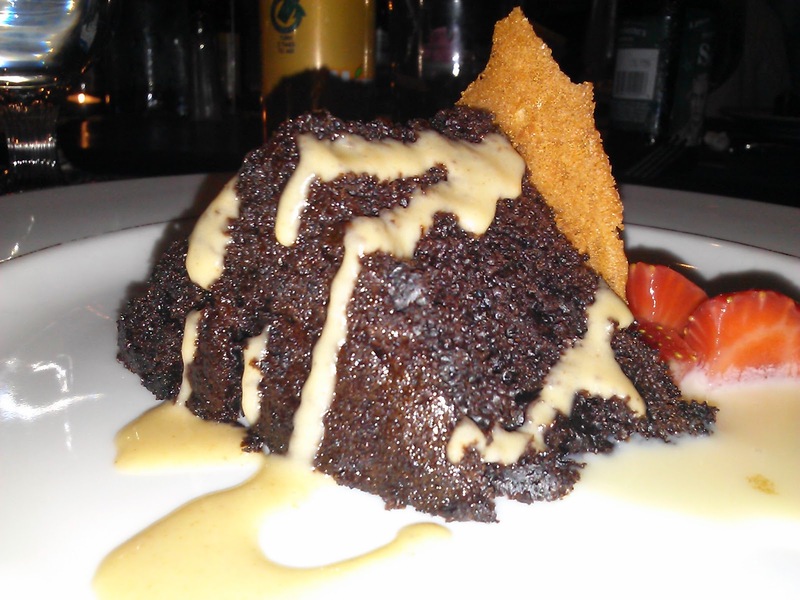 The spiked cake could have had more wine flavor, but it had subtle Pinot Grigio undertones that I barely picked up with my fork. I barely had any of the anglaise on my plate and I tasted no cider, thank goodness for the fresh strawberries on the plate. My cake. It tasted as good as it looks. 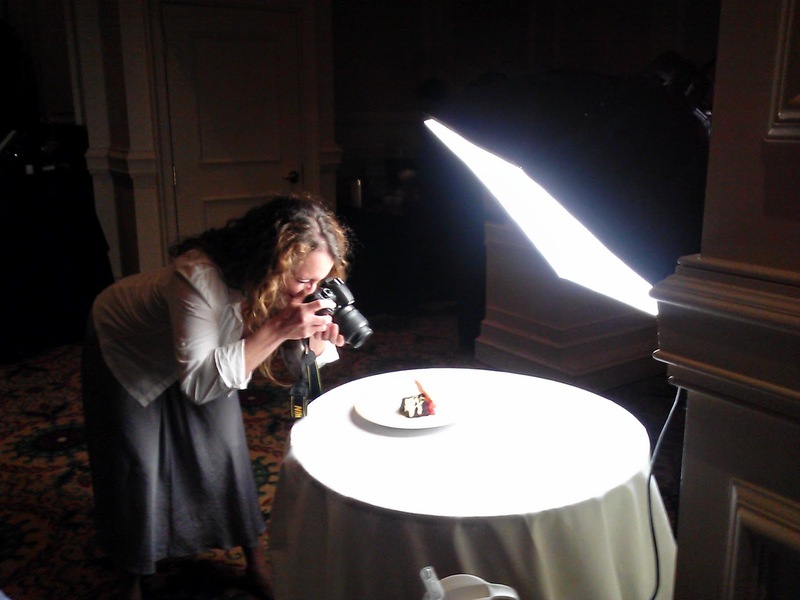 Shout-out to Kristi Maier of Triadfoodies, who takes all of the photos for the website. She does a great job! 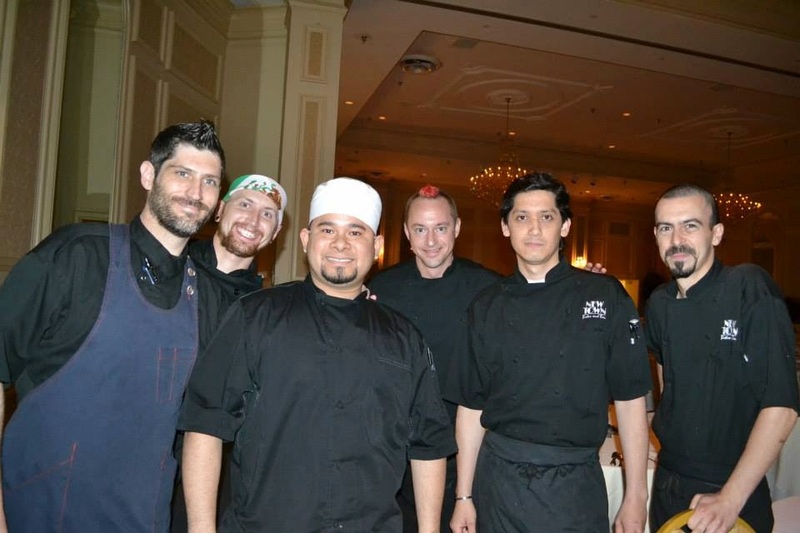 After all of the pomp and circumstance, it was revealed that Chef Kevin Reddick and his team from Artisan Restaurant prevailed and will go on to meet Chef Tim Grandinetti and his team from Spring House on May 19! Congratulations! Get your tickets NOW, to see, eat, tweet and be a part of the most exciting culinary competition to grace the state of North Carolina!